Next turn it on wait 6 minutes for the lights to change and off i go,No chemmicals needed. first i steam cleaned the floor, i need not of worried about wet getting into the laminate as it is steam it doesnt leave the floor wet for long, the machine i found compared to others was very light to manouvre as your not pushing a full cleaner but the hose and extension, and the big wheels on the machine make it very light and easy to pull along. I was overall extremely pleased with just how clean the floor was when i finished, after using a mop and bucket for the last 12 months this is just as easy to get out and use for better results. see pic below. Next i tackled the bathroom sink and bath, changing the nozzle to the small brush attachment for more direct steam this was fab for getting around the taps and the flexi shower hose is like new again after giving it a blasting you dont realise where the dirt gathers till you really look for it. finally i used it to clean the grout on the tiles as a house of women who dye their hair its surprising where brown dye can end up! again with no effort this came off easily. 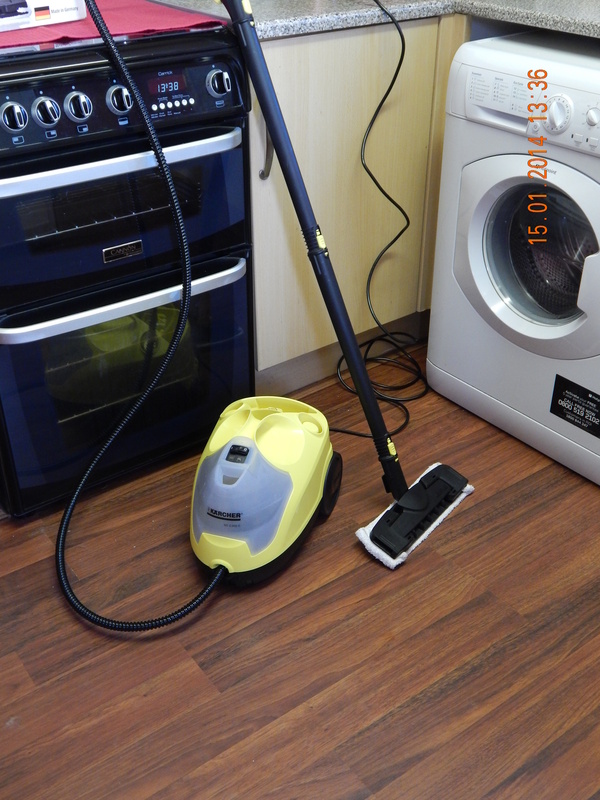 To say im impressed by my new steam cleaner is an understatement, its light flexible and easy to use, if i was to make one complaint its a minor one that i would of liked more electric cable, as it was a bit short and i had to use and extension lead, but overall its a fab cleaner and can be used not only on floors but cookers, sinks and wall tiles. and all this with no chemicals or additives the steam does it all. 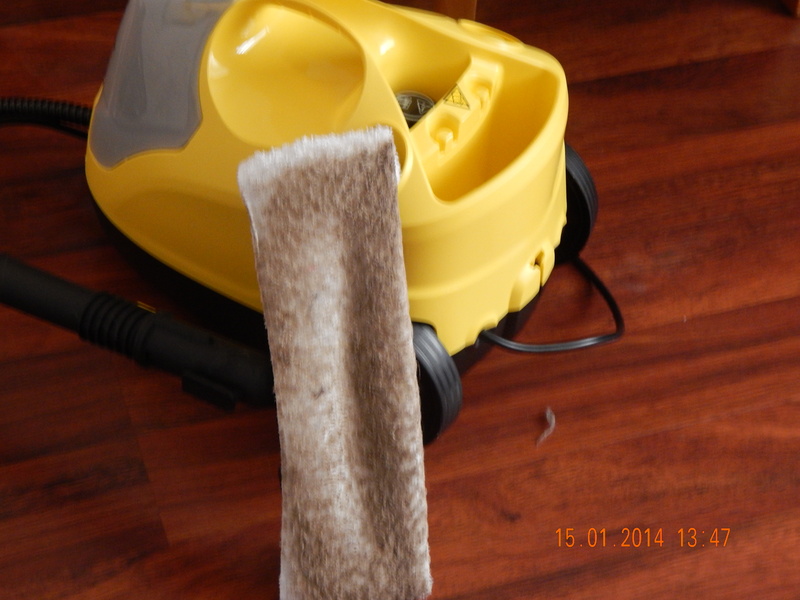 there is a multitude of accessories to go with the machine including a wallpaper stripper and upholstery attachment too, so one machine can clean it all.